When it comes to ethnic food, I confess that I have a thing for Japanese cuisine or, better said, for shrimp tempura and sashimi. In the past, I used to go quite often out for Japanese food but recently I almost stopped. The main reason for that is that in Milan, after Japanese food has become very fashionable and popular, many Chinese restaurants converted themselves. I understand that this might be wrong but it doesn’t make me comfortable. It seems to me like going to an Indian restaurant managed by Italians. I’m also held back for hygienic reasons. Since I love sashimi, I’m cautious about the raw fish conservation. I got strongly intoxicated twice (although not in a Japanese restaurant) and don’t wish to repeat the experience. In Singapore, one of the best culinary destinations in the world, I found a little restaurant close to my hostel in the Arab quarter and decided to give it a go. 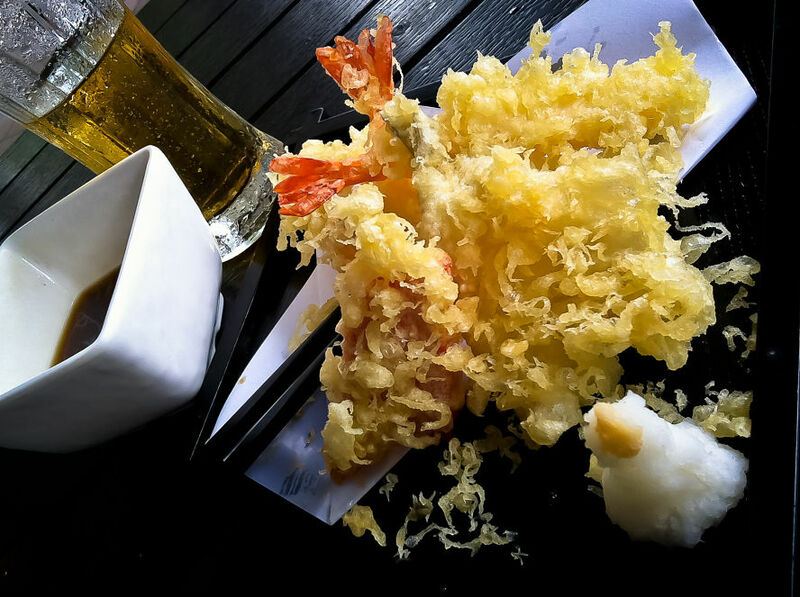 I didn’t feel confident in eating raw fish, so I decided for a shrimp tempura, which was simply delicious. Crusty outside smooth inside and not oily at all. Do you like Japanese food? What are your favorite dishes? My mouth is watering! That looks so delicious. I too love tempura!